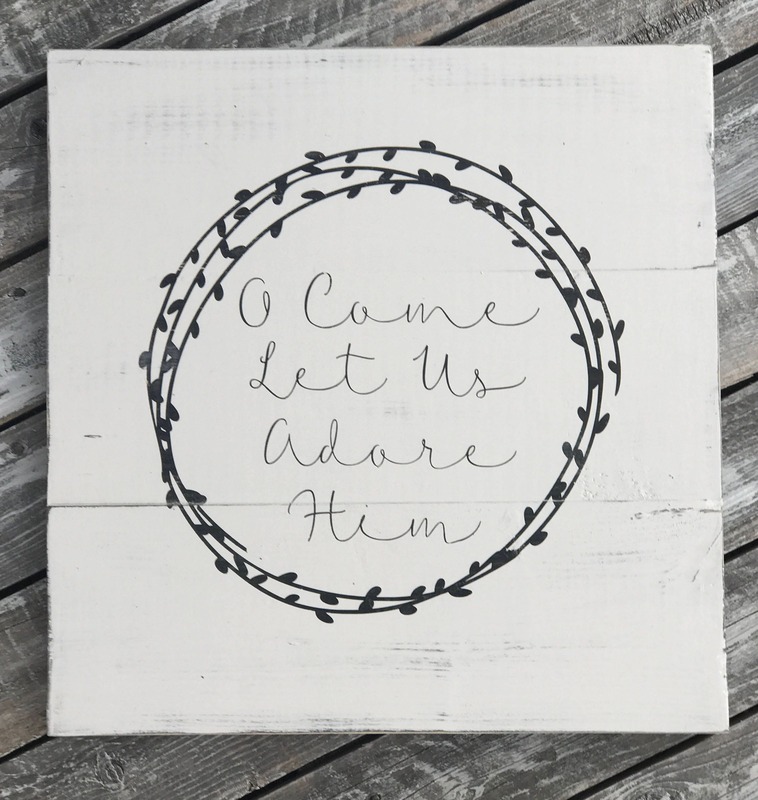 O Come Let Us Adore Him, Christ The Lord!! 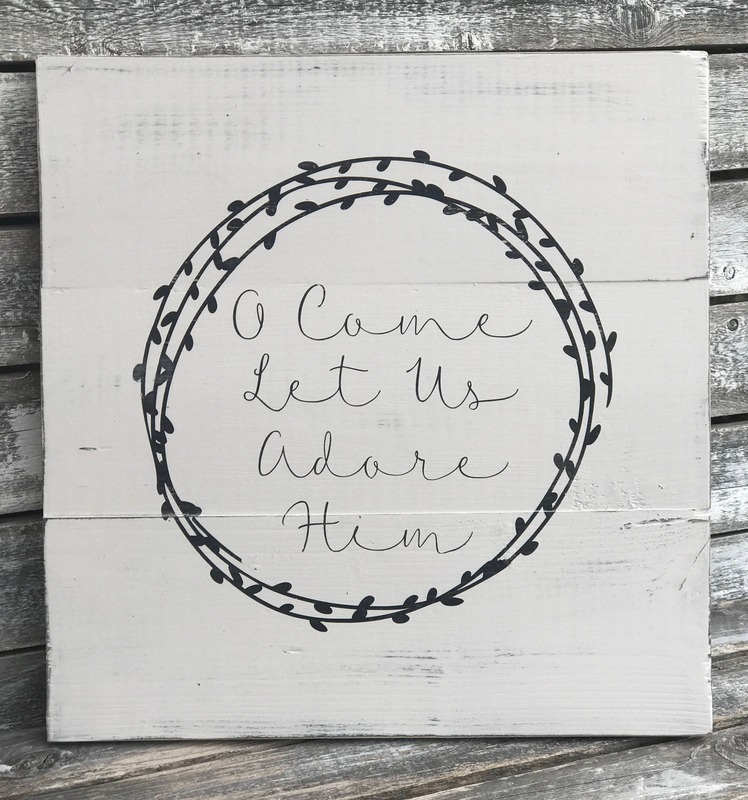 This shiplap inspired Christmas sign is the perfect addition to any room in your house. Simple, elegant, distressed and just downright perfect. Beautiful wreath detail and delicate font make this the ultimate sign.